The alleged arsonist of a synagogue in Netanya is likely to remain in jail for a long time, prosecutors say. The alleged arsonist of a synagogue in Netanya - whose actions caused damage to ten Torah scrolls - will remain in jail for at least four more days, as police build a case against him. Tzoma Pitigo was arrested over the weekend in connection with the fire at a synagogue on Nordau Street in Netanya. According to police, Pitigo broke in to steal money from the synagogue's charity boxes, and set the fire to cover his tracks. Besides the damage or destruction of the Torah scrolls, the fire caused major damage to the building, and destroyed dozens of holy books. Speaking to reporters, Pitigo's lawyer said that his client was suffering from physical and mental pain, and he would request leniency in court based on that. According to witnesses, Pitigo was drunk when he set the fire. Prosecutors said that they would charge Pitigo to the fullest extent of the law, and would demand that he remain in prison until proceedings against him are completed. 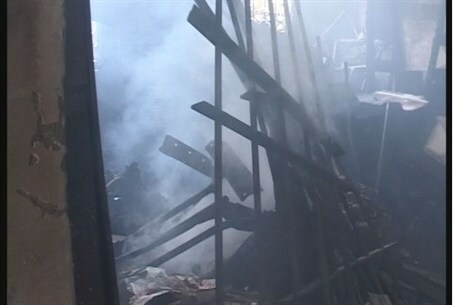 Police said that they had connected Pitigo with another fire that took place in Netanya the night before the synagogue arson. A funeral is to be held for the Torah scrolls later this week. According to Jewish tradition, Torah scrolls that are damaged beyond repair are given a mourning procession and burial ceremony similar to that of deceased people.